Your analytics tool will still be able to differentiate user traffic coming to your website from Google Search and traffic coming from Google News, so you should see no changes there. The main difference is that you will no longer see occasional automated visits to your site from the Googlebot-news crawler. If you’re currently respecting webmaster guidelines for Googlebot, you will not need to make any code changes to your site. Sites that have implemented subscriptions using a metered model or who have implemented First Click Free will not experience any changes. For sites which require registration, payment or login prior to reading any full article, Google News will only be able to crawl and index the title and snippet that you show all users who visit your page. Our Webmaster Guidelines provide additional information about “cloaking” (i.e., showing a bot a different version than what users experience). 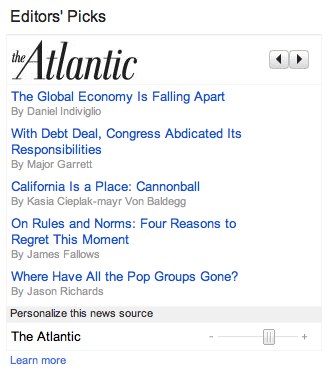 Learn more about Google News and subscription publishers in this Help Center article. Rest assured, your Sitemap will still be crawled. This change does not affect how we crawl News Sitemaps. If you are a News publisher who hasn’t yet set up a News Sitemap and are interested in getting started, please follow this link. For any publishers that wish to opt out of Google News and stay in Google Search, you can simply disallow Googlebot-news and allow Googlebot. For more information on how to do this, consult our Help Center. As with any website, from time to time we need to make updates to our infrastructure. At the same time, we want to continue to provide as much control as possible to news web sites. We hope we have answered any questions you might have about this update. If you have additional questions, please check out our Help Center. This entry was posted in Google News Blog and tagged Google News on August 25, 2011 by Google News Blog. Two months ago we announced that all Google-hosted Custom Search Engines would be upgraded to use the Element. We’re happy to report that that transition is now complete for all Custom Search users. Those that visit the Control Panel will find better tools for customizing the presentation of their CSEs. Moving to the Element enables us to quickly deliver new features that Custom Search users can easily turn on for their sites and we will soon upgrade all iframe results to use embedded Elements. This entry was posted in Custom Search Blog and tagged Google Custom Search, Search on August 11, 2011 by Custom Search Team. Alongside working on improving the Google News design for smartphones, we have also been looking into enhancing our offering for tablet devices. 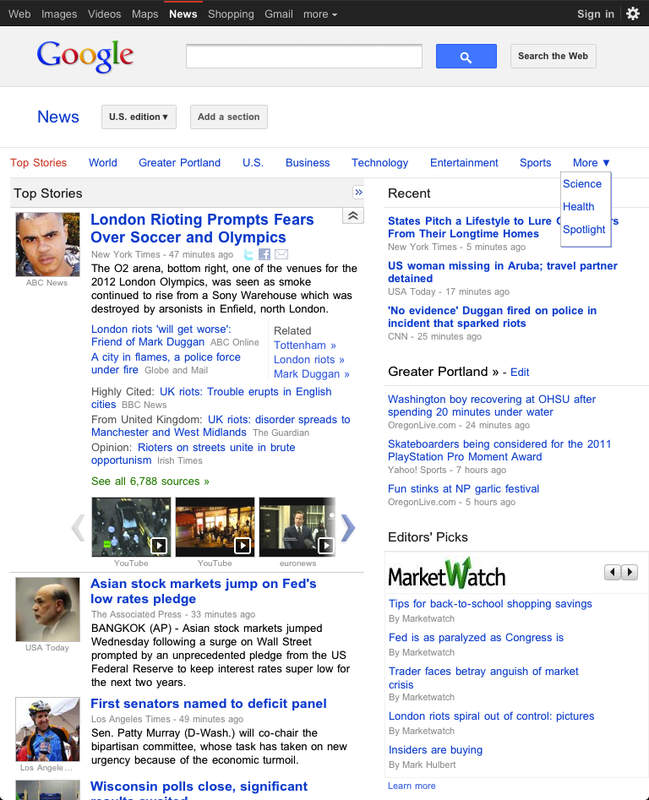 Today, we are launching a few minor enhancements to Google News for Android tablets and iPads. We have optimized columns in the home page and section pages so that they can be more easily viewed in portrait and landscape orientations. Some of the other updates include: a conveniently placed menu on the top for navigating across sections, support of finger swiping through the multimedia strip in expanded story boxes and a more friendly edition picker. These improvements are now available in the U.S. edition. 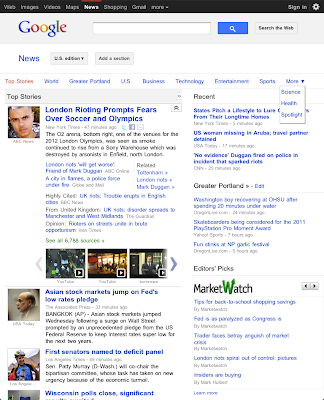 To view these changes, just type news.google.com on the browser of your favorite tablet. This entry was posted in Google News Blog and tagged Google News on August 10, 2011 by Google News Blog. This entry was posted in Google News Blog and tagged Announcements, Google News on August 4, 2011 by Google Blogs. This entry was posted in Data Liberation Blog and tagged Data, Data Liberation on August 1, 2011 by Brian Fitzpatrick.